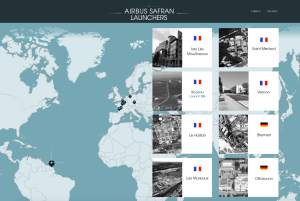 The joint venture of Airbus and Safran was created in 2015 as part of a reorganization of the European launch vehicle industry. 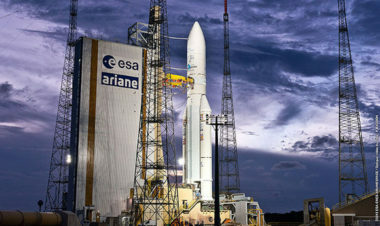 Thursday's briefing begins with Airbus and Safran finalizing the creation of a joint venture to produce Europe's Ariane 5 and Ariane 6 rockets. 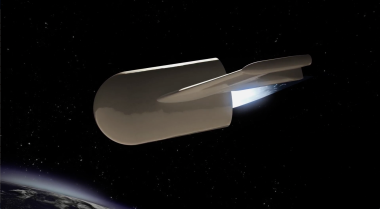 Airbus Defence and Space on June 5 unveiled the product of what it said was a five-year effort to design a reusable Ariane rocket first-stage engine and avionics package, an project company officials said was stimulated by SpaceX’s work on reusable rockets. 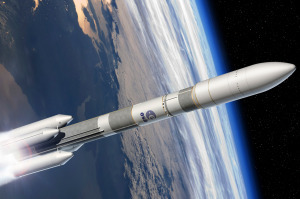 Prime contractor Airbus Safran Launchers and ESA prepare a late-June contract for Ariane 6 development that will fix in concrete many of the assumptions made when ESA ministers approved Ariane 6 funding. 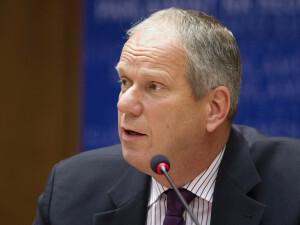 European governments and Airbus Safran Launchers have reached a tentative agreement on Ariane 6 development funding following an incendiary letter from the company alleging a nearly $1 billion shortfall. But the two sides agree that the underlying disagreement over who pays what remains unresolved. 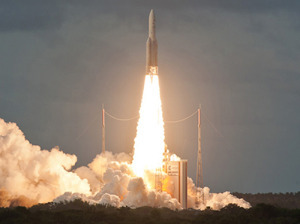 Airbus contracted with Arianespace to launch the EDRS-C laser-optical data-relay satellite in early 2017, a deal that follows contract discussions with rival SpaceX that drew fire from the French government. 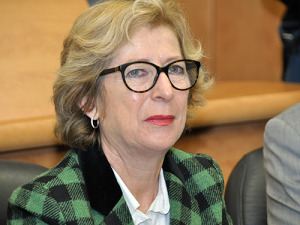 French space minister Genevieve Fioraso on March 5 resigned from her position, citing health reasons that had been known for several months. 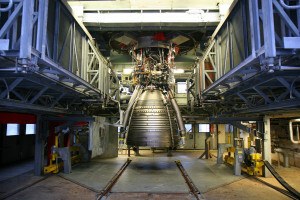 The transfer of funds will be necessary for French aerospace-engine builder Safran to maintain a 50 percent stake in the new company, which was created in January and is called Airbus Safran Launchers. 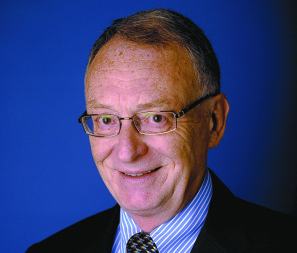 Call Antonio Fabrizi the father of Europe’s Vega small-satellite launcher and he waves you off. But consider: Fabrizi in the late 1990s worked as head of launchers at the company now known as Avio, where he was involved in Vega’s early designs. Avio is now Vega’s industrial prime contractor. 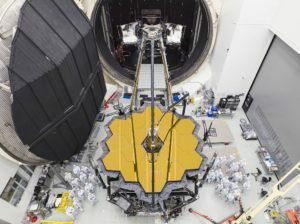 The DirecTV satellite features a so-called Reverse Band payload operating in spectrum made available by U.S. and international regulators several years ago. 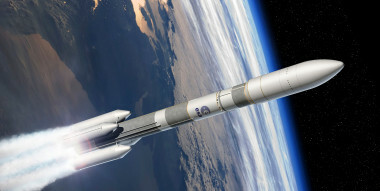 The member governments of ESA agreed to develop a new-generation Ariane 6 rocket to maintain Europe’s share of the global commercial launch market, to enhance the power of the current Vega small-satellite launcher and fund the use of the international space station through 2017. 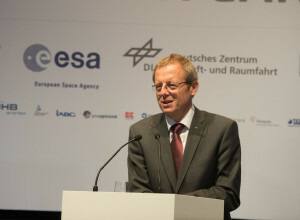 The president of the European Satellite Operators Association (ESOA) on Nov. 19 applauded the apparent agreement between France and Germany on a next-generation Ariane 6 rocket and said the vehicle needs to be in service as quickly as possible. 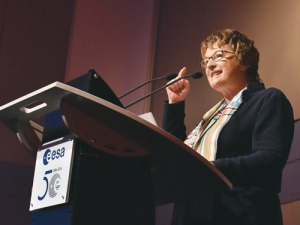 The decision ends an impasse that has bedeviled the European Space Agency for more than two years as it prepares for a Dec. 2 conference of its governments. 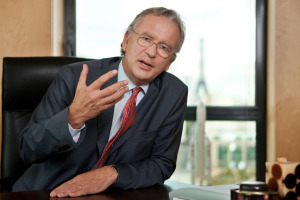 ESA is proposing to inject 8 billion euros into Europe’s launch sector over 10 years starting in 2015, including some 4.3 billion euros on a new Ariane 6 rocket.